Presentation Folders are a great promotional item for a business, have your logo on an item that someone will use daily, be used inside meetings and displayed during commuting! 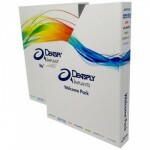 Branded Presentation Folders are an excellent way of projecting your company image is through the use of presentation folders whether they be for internal or external use. Magellan are able to provide a wealth of sizes and styles to cater for your specific needs. 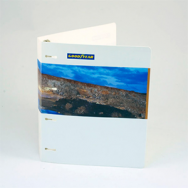 Custom made presentation folders, we can provide folders in an exciting and wide range of materials. 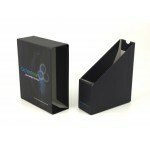 Printed Presentation Folders are full of custom options, make use of the spines and print or emboss on various points. Magnets can be added to improve the closing feature of your Presentation Folders. 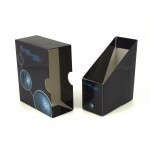 Custom Ring Clips can be fitted to change how your Promotional Presentation Folder can be used. 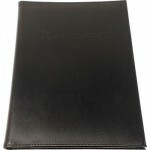 Promotional Presentation Folder for Precor has a ring binder which slips inside a litho-lam exterior..
LuxuryMenu Holder and Bill Presenter for Marriott.. 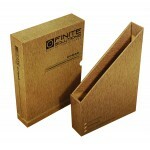 Promotional Presentation Folder for Finite is a sliding folder that has been printed to appear like ..